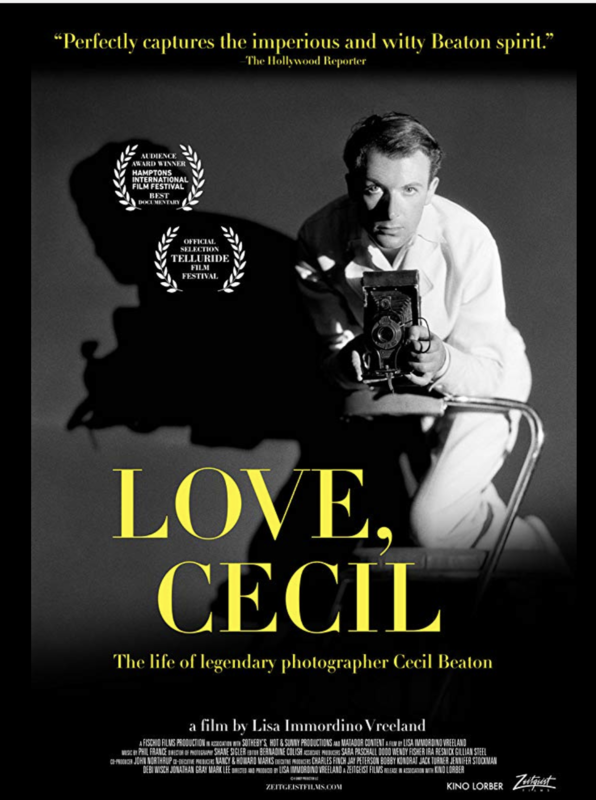 Cecil Beaton (1904-1980) is the subject of this documentary film by Lisa Immordini Vreeland. Beaton was a legendary fashion photographer, renowned portrait photographer as well as a war photographer. On top of that, he was an Oscar-winning stage and costume designer for film and theater. He was a painter and a diarist who wrote several books about his own life. He was apparently gay or at least bisexual and he also called Greta Garbo one of the true loves of his life. 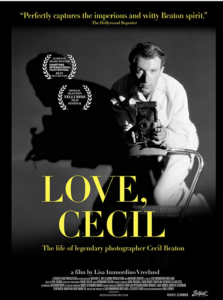 Filmmaker, Ms. Vreeland was clearly all in with her attention to detail as she certainly creatively brought Beaton’s artistry to the screen with a full array of pictures, photographs and a narrative (much of it taken directly from Beaton’s diaries). Whether it was photographing the Queen of England or legendary movie stars, this man seemed to always have the full confidence of his subjects. One cannot wonder if he felt unfulfilled himself as he always seemed to be searching for some elusive satisfaction. Certainly, this is a very well done, somewhat unusual, documentary film that many people will enjoy and appreciate the many accomplishments of this artist made to the creative world of the 20th Century (2018).